It is that time of year where many of us are setting New Year's resolutions and making the commitment to be healthier and happier in 2017. In this week’s Mojo Maker, De-Anne Joseph shares her wisdom on how she lives a healthy, happy, and purpose filled life. From following Ayurvedic principles, through to dancing, alkaline water, and a good old belly laugh, De-Anne shares her top tips for how to stay healthy and happy, even when you’re a busy working mum. 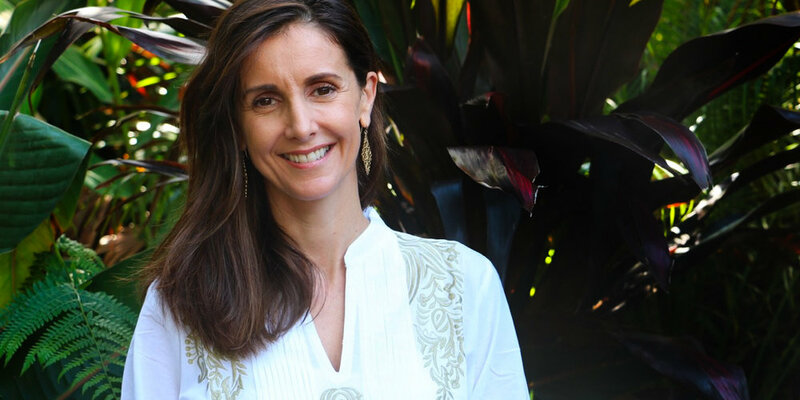 As a kinesiologist, Hypnotherapist, and Ayurvedic consultant, De-Anne is passionate about helping people achieve their goals and desires, working with people to help resolve the underlying objections, the sub conscious (emotions, long-held beliefs), that are holding them back. She has been instrumental in helping me in my recovery from Lyme Disease. Over the years her balances have shifted stubborn mindsets and long-held beliefs, and it has contributed to me being in a higher state of wellness and happiness. And boy am I grateful and happy about that! Not only this, De-Anne is a thoughtful, funny, and adventurous friend – all essential elements for a strong mojo :). She is also an incredible mum and a loving wife. Yes, this woman has it all. Her mojo is in full force, and here she inspires us mums to reclaim our vitality and to get our groove back! What is the mantra that you live and work by? Be Present. Since having children anxiousness became an accidental default. To overcome this I had to focus on the now. If I thought about the never ending to do list it would make me anxious, so to manage this I have to remain present. If I thought about the never ending to do list it would make me anxious, so to manage this I have to remain present. What motivates and inspires you? What keeps your mojo flowing? My family and my clients motivate and inspire me. My clients especially inspire me as I have heard some pretty horrific stuff when taking clients personal history or things that come up in a balance. Seeing how clients have learn’t, grown, and evolved because of their story is an inspiration. Human evolution and resilience is powerful stuff!! What keeps my mojo flowing is having down time with the family. 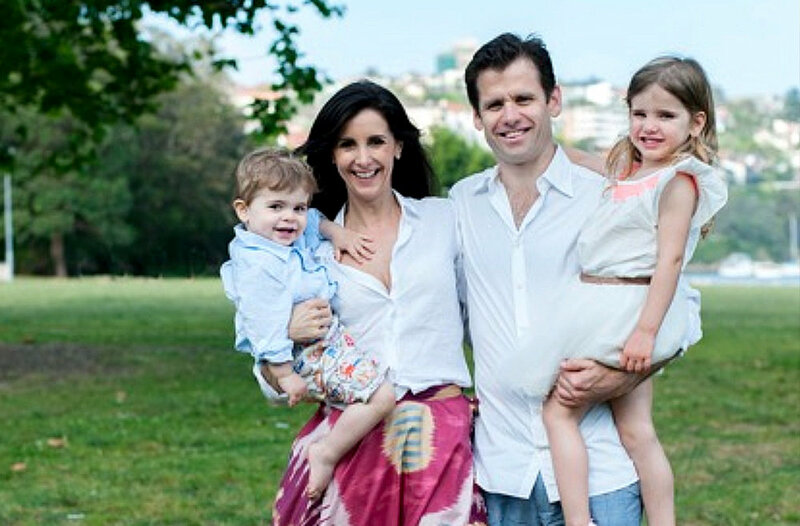 You are a busy wife, mother of two, and Kinesiologist / Hypnotherapist /Ayurvedic Consultant. Talk us through a typical day in the life of De-Anne Joseph. Wake Tongue scrape 2 x cups of warm water Stretch Meditate Dry Body Brush Shower Breakfast Rush to get kids to school/daycare Work Lunch/Exercise Rush to go pick up the kids from school/daycare Homework/Play with kids Dinner Bath/Book/Bed for kids Study or catch up on work Wind down which is usually pleasure reading as opposed to study Bed at the latest 10am most evenings. What are three things that you do daily to nourish your body, mind, and spirit? 1. Drink at least 2 litres of alkaline water per day, 2. Epsom salt aromatherapy baths to calm my mind switch off with self Abhyang (oil massage) after and go to bed by 9.30pm helps! 3. If I don’t have a good belly laugh with family or friends that day I make sure I watch some sort of comedy video on the net. Laughing just relaxes me! What drives my passion is the human body’s ability to instantaneously heal and change. People come in either with pain or low energy or stress and they leave with no pain, high energy, and no stress. You work closely with your clients to improve their holistic health and wellbeing. What drives your passion to help people? What drives my passion is the human body’s ability to instantaneously heal and change. People come in either with pain or low energy or stress and they leave with no pain, high energy, and no stress. Hypnotherapy is a good example where someone comes in for weight loss and no motivation to exercise or eat healthy foods and they leave highly motivated and willing to make healthy sustainable choices in their life - and that was just after a 1.5 hour session. I had a client who had not exercised in 31 years, now she is walking for exercise everyday!! The clients drive my passion. Tell us about your role as a mother and how this has helped shape the life you lead today. My children Isabel 6 and Jenson 3 have totally changed me and not just physically! My role as a mother has taught me patience, tolerance, compassion and empathy. I don’t feel these qualities where high on my agenda in my corporate days. They have also taught me to be present as time does go quickly…. my daughter is about to lose one of her top front teeth…. where did the past six years go???!!! Everything I do now comes from the heart not the head. My role as a mother has taught me patience, tolerance, compassion and empathy. How do you use everything you have learned to keep your mojo flowing? Following Ayurvedic principles has been the biggest game changer. Working with my constitution, stage of life, season and time of day keeps me in good health and high energy. When I don’t eat right for the time of day or season or push my body to hard and don’t get enough rest I pay the price usually in illness, stress and low energy. The other thing that keeps my mojo following is dance. A big part of me still misses the 4-6 hours non-stop dancing in the night club. So how I usually fill that void is when I am cooking dinner I will go through the i-tunes library and play a favourite song from back in the day and crank it up loud. I start dancing in the kitchen and before you know it the kids and my husband join in!! Mini family kitchen dance parties are what gets my mojo going!! It is often difficult as a mum to stay present when you have an active, full life. What do you do to be a mindful mum? The biggest one is to stop what I am doing and play with my kids when they ask me. When I feel I am not being mindful and catch it take a big breath in and say ‘Focus’. 9. I've had the privilege of knowing you as a friend and then also being one of your kinesiology clients. As a practitioner, you have a strong intuition and a caring, supportive nature that enables you to get to the core of the issue and effectively guide a person to a better state of well being, whether that be physical or emotional. Can you tell our Mummy Mojo tribe more about what you do? I’m sure, like me, they will want to sign up for a kinesiology session with you right away! I use a combination of Kinesiology, Hypnotherapy, NLP and Ayurveda in most of my sessions. After taking a client's case or finding out what they want to focus on we dig deep to find out what is stopping them from achieving their goals, is the willingness not there or are there some sort of sabotage programs to clear. Once we clear the blocks be it emotional, biochemical or physical we balance the body by rubbing or tapping specific acupuncture points or use hypnotherapy to add positive suggestions to the subconscious allowing you to create positive programs on how you operate. Just as you upgrade the operating system on your computer it is like a system upgrade for your mind/body. Pain disappears, stress dissolves, and you just feel more energised and empowered afterwards. I love the flexibility self-employment gives me. All I can say about the above corporate life is that it was long hours, lots of travel and high stress! As a mum, what do you love about being self-employed? Can you tell us more about what you have planned career wise for the future? Prior to Kinesiology, I worked in a variety of jobs in marketing and advertising roles. All I can say about the above corporate life is that it was long hours, lots of travel and high stress! De-Anne Joseph practices at Anahata Therapies in Mosman on Saturdays (www.anahatatherapies.com.au) and Better Balance Chiropractic Double Bay on Wednesdays & Fridays (www.betterbalancechiropractic.com.au).